Everyone knows NOLA, the partying-est, craziest, drinking-est, convention-going, Mardi-Gras-Parading, jazz-music-playing, levy-bursting, Brad-Pitt-loving, most reputation-rebuilding city in the USA, especially right now. Everyone knows NOLA, the partying-est, craziest, drinking-est, convention-going, Mardi-Gras-Parading, jazz-music-playing, levy-bursting, Brad-Pitt-loving, most reputation-rebuilding city in the USA, especially right now. From Fat Tuesday to Ash Wednesday -- okay, really between New Year's and Easter -- this is the place to be for Mardi Gras. But what if you're not the party type? What if Mardi Gras doesn't mean to you what it does to millions of other visitors? What if you want just a nice romantic weekend or a getaway that doesn't involve the usual tourist sights? Then you want to know the hidden spots, which will remind you of the New Orleans of long ago as well as give you a delightful fresh look at a city you may have thought you knew. I learned early on that New Orleans is nothing -- NOTHING -- without its food. Tell anyone you're going to NOLA and their first question to you will be, "Where are you eating?" This pastime alone can take you all day every day if you choose, with the city offering food tours galore and dozens of restaurants (especially seafood) laying claim to being founded nearly two centuries ago. So go and eat at the Galatoire's, the Arnaud's (and the Emeril's!) and the other denizens that make up the usual suspects, then check out these hidden spots (some in plain view) that make you glad you paid closer attention. 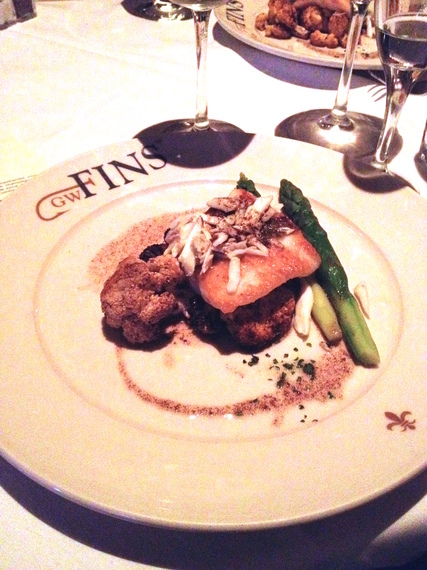 In a city with over a hundred old seafood restaurants, GW Fins is a total upstart. Founded a mere 14 years ago, Chef Tenney Flynn has made a name for himself by being pickier than the local sushi chefs. Priding himself on locally sourced fish and other ingredients, Flynn's co-ownership of the 200-seat restaurant shows in everything from the decor to the melt-in-your-mouth drop biscuits that the knowledgable waiters distract you with as you wait for your meal. The day I visited, a local fisherman was bringing Lion Fish that he bagged that morning - the restaurant changes its menu daily by around 25 percent, rotating 60 sauces and preparations to serve a variety of fish caught off the Gulf and Carolina Coasts. While everything we tasted was outstanding, there are some can't miss dishes: smoked sizzling oysters - the shells are heated to 500º then cold smoked oysters soaked in drawn butter are dropped in, brought to the table semi-raw and sizzling. In a land of charbroiled oysters ("Chuboils," in the local vernacular) usually slathered in cheese and heavy sauces, this was a delicate standout. Scalibut -- this is a filet of halibut with carved "scales" of New Bedford scallops -- not only is the combo delicious, the presentation is spectacular. If you can possibly manage to fit in a side dish, the cauliflower roasted with sumac was an unexpected pleasure. Hidden in plain sight in the Lowes Hotel, Cafe Adelaide is the kind of place the upmarket locals frequent, since Sunday brunch offers free cocktails -- when you come wearing a hat. The bonnets on display were definitely not those you would pack in a suitcase! They have, hands down, the best Bloody Mary I've ever drunk -- and I should say eaten, since the garnishes (including pickled okra) were almost a meal. It's the sort of restaurant that features a barbecue bacon cheeseburger, but the cheese is Manchego and the barbecue sauce has absinthe -- in other words, only in New Orleans. Their bacon-crusted oysters were a delightful twist on an standard, and their take on corn dogs (Tasso-crusted shrimp drenched in a buttery hot sauce) was worth the raves our waiter gave it. For Sunday brunch, skip Court of Two Sisters (tired food and constant flow of tour groups) and Commander's Palace (the general consensus is it's best for lunch, including their 25¢ martinis!) and go to a dive in the Marigny. Just a 10-minute walk from Bourbon street, Buffa's jazz brunch will remind you what made New Orleans great. They feature such local treats as bratwurst jambalaya, a delicious Bloody Mary for less than $4, and a whole wall of hot sauces, plus staples like crisp bacon, snow-white-perfectly-done fried eggs, and thick buttermilk biscuits. But their brass jazz band is perfect -- everyone's been doing this a long time and they're terrific at it. A female trumpet player whose smile lit up her face like Lily Tomlin traded lead vocals with male banjo player, a female drummer (so thrilling to see!) and bass player rounded out the group, along with a morose clarinet player, who nonetheless killed his solos along with the rest of band. 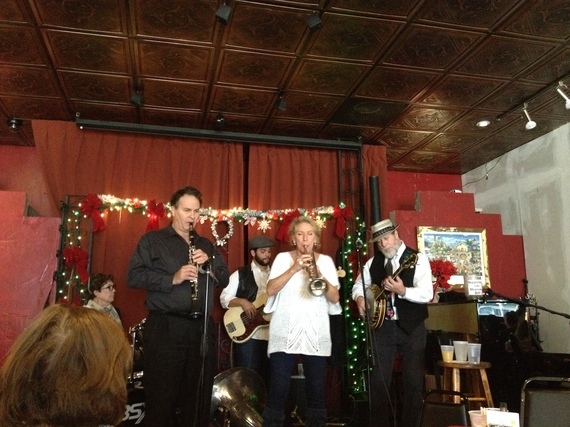 Ask for cheery Bonnie to be your waitress -- she's been there so long the band even wrote her into their rendition of "Alice's Restaurant." 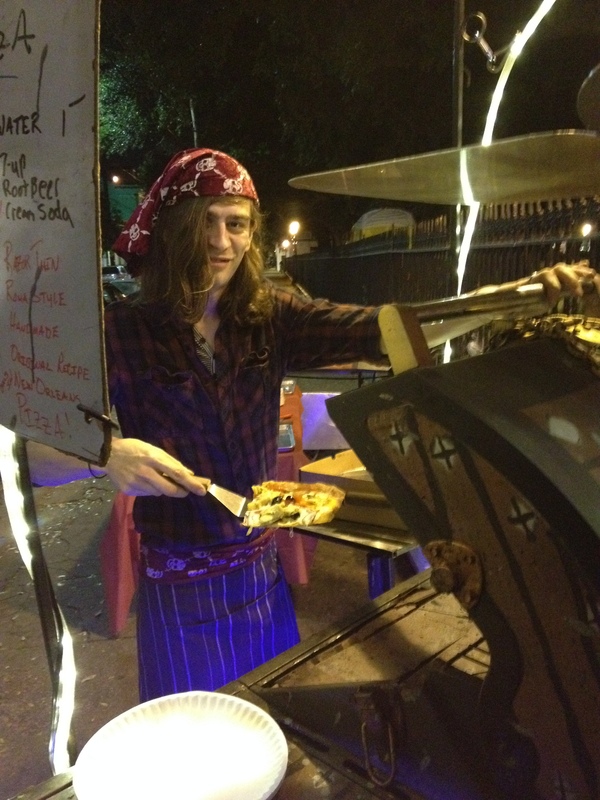 And... where else but in New Orleans can you find a mobile, pop-up pirate ship that makes grilled pizza served by two guys in pirate costume named Matt & Matt... at midnight... on a corner of Frenchman Street? This one is so hidden I can't even promise you'll ever find them, but if you do, the pizza looked awesome! Everywhere. Really. See some of my suggestions above, but you can't go wrong in the city that never stops drinking. Start on Royal Street during the day in the French Quarter and you'll see some terrific bands --really wonderful brass, electric violin, not a lot of vocals but it's so much fun. 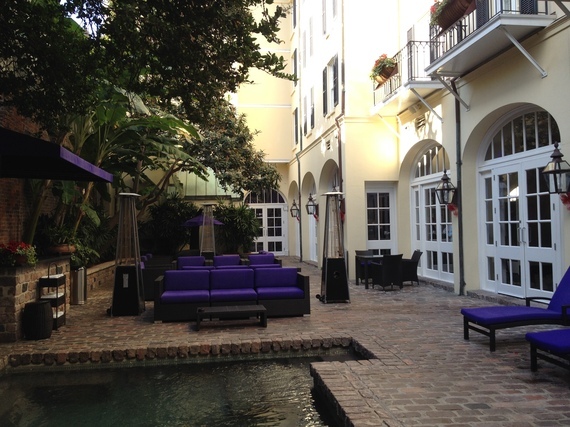 It's not too hidden, but you might miss it if you stick to Bourbon Street so veer off and enjoy. Lush, sophisticated, and hidden in plain sight in the middle of one of the oldest hotels in the city, this is where the locals and visiting celebs go to jazz it up on a Friday or Saturday night around 11 p.m. Go much earlier if you want a seat, especially with any view of the band (the place is large, but crowded all the time). Order the seafood po' boys -- tiny takes on the classic NOLA sandwich -- they pair perfectly with that cocktail in your hand. Although most people never get out of the French Quarter, Frenchman Street is widely considered THE place to listen to jazz, and it's a quick 10-min taxi ride. One of the best places I found is the Spotted Cat: small and extremely live, the music changes so check their web site. A $5 cover will get you into a smoky, crowded room where constant chatter flows under the stylings of a young brass quintet sporting an upright bass and a girl guitarist who keeps her eyes closed most of the time as she strums. The age in this place is 21-81, and it feels like a true, authentic nightclub, and a little like Greenwich Village in the '70s. Only go here if you are a jazz snob, but if you are, you'll absolutely love it. A two-level speakeasy with a $25 cover, it's hidden in the back of the restaurant. On the postage stamp stage, a modern, Miles-Davis-y band of all-white, middle-aged passionate musicians is observed by a tiny crowd of fiercely attentive jazz fans. Warning: there is a strictly observed no-talking policy once you enter the back room venue. You've got a LOT of options, but here are some "hidden" ones. YES, I LOVE the Orleans Collection, having stayed at the Bourbon last time I was in NOLA. If you thought the French Quarter was only home to big loud hotels and the daily impromptu drunkfest down Bourbon Street, then you are in for a major treat. 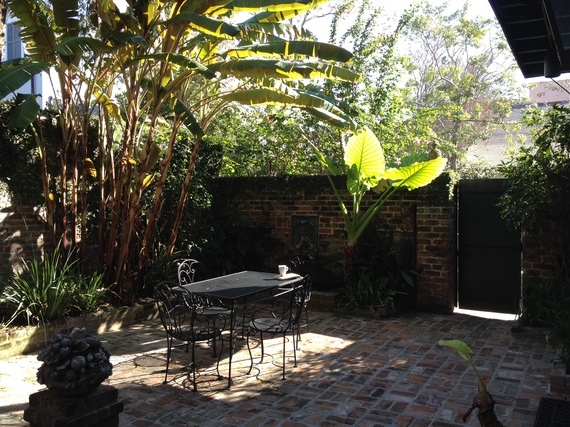 Tucked just a couple blocks off Bourbon in the heart of the French Quarter is the amazing Audubon Cottages. Behind a green garden fence in an unassuming white stucco wall, an arch of trees beckons you to a small salt water pool. Each of the seven individual cottages -- two 1-bedroom and five 2-bedroom -- has its own little garden patio. Though they have been updated with AC, fully modern bathrooms, and built-in refrigerators, pains have been taken to retain the century-old feel of the locale. From period furniture to the Audubon prints hung on the walls, you will think you are in an entirely different world, on retreat from the bustle of the city. 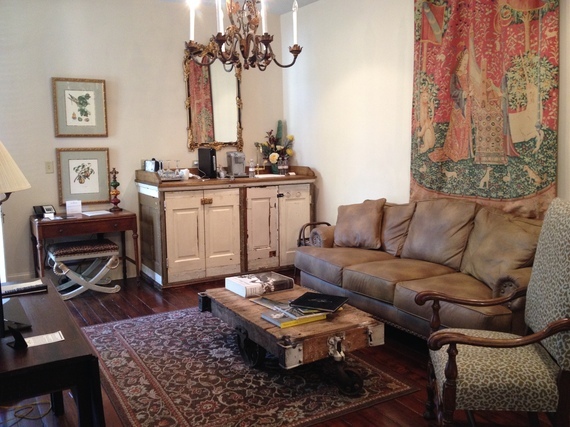 The cottages are conveniently appointed with everything you could want for your stay (free Wifi and gourmet snacks, anyone?) and the attentive staff stays in the background so you can relax in your own private getaway. In the mornings, the pool cabana converts to a well-stocked free breakfast buffet before you start your exploration of the best hidden spots of this town. 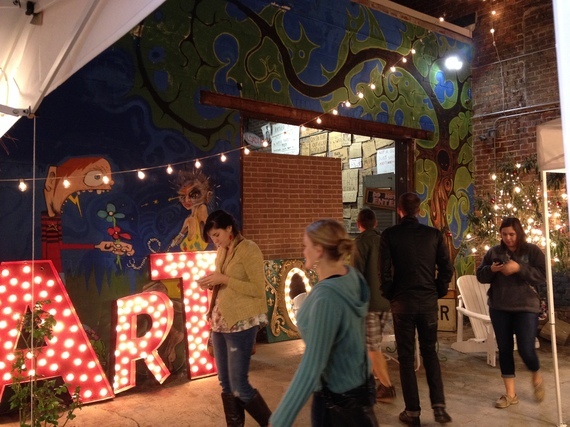 If you found your way to Frenchmen for the music, stop by the so-called Flea Market, actually a collection of local crafts and colorful artisan pieces. It's open until 1am for your late-night shopping pleasure. 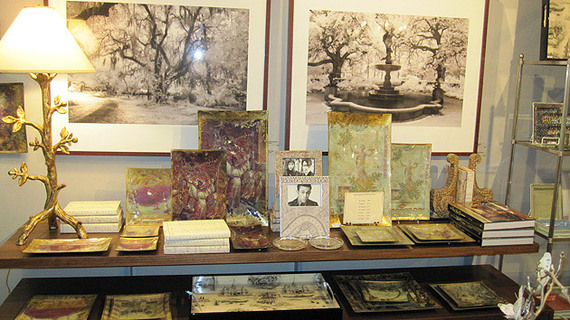 While you might know that NOLA has been hand-crafting perfumes practically since the city was founded, and that its French roots mean that their parfumeries were the offspring of the famous Parisian scent houses, you might not know some of these places still exist - in the case of Bourbon Street Parfum, since 1843. Make an appointment to choose a hand-crafted original perfume based on a survey you take, your personal preferences ("Nothing fruity! I love the woods," etc.) and even the perfumes you already wear. The consultant will mix batches, moving closer and closer to the scent you enjoy until you have a unique mix all your own. For $85 (at the time of writing) your consultation includes an ounce of finished perfume, and they keep your record on file so you can reorder your unique scent and have it shipped to you, too. 900 Canal St. & 800 Canal St. I swear. The big chain pharmacies on Canal Street are totally local sources of discount souvenirs (T-shirts, hats, and many of the items sold in the tourist markets), just like in every big city. Love Cafe du Monde coffee? Buy it here $1 cheaper than anywhere else, including Cafe du Monde! It was so hard to find a local, reasonably priced salon for a quick cut and style I had to give a shout out to Salon D, a sweet little 5-chair salon where the owner said, "Come on and don't worry if your plane is late -- I'll wait for you." The service and the results were just as terrific. The front room is an exquisite, handpicked selection of stationary, cards, travel journals, and briefcases and the back room is local printing for custom stationary. They also have an online store, but it's obvious these people really appreciate the quality and feel of the alphabet on beautiful paper. Remember the first two seasons of Mad Men, and the wonderfully handsome (and totally in the closet, even to himself) character of Sal? Well, the actor who played him has spent his earnings well, opening the acclaimed (yet still stumble-worthy) Hazelnut in the heart of Magazine Street. Featuring unique home tckotchis you had no idea you absolutely needed until you walked in, Hazelnut feels artistic, curated, and charming, like the gay BFF in your life knew exactly what you needed to get for a wedding gift and for your own home. A word about Magazine Street -- it's loooonnngggg. And some of it's seedy. It partially reminds me of Seattle back in the grunge of the early '90s, with co-ops and a lot of rundown fun spots, but enough of it was so seedy for me to think I wouldn't go back. And that's how this made the Hidden list, because it's so long the neighborhood changes completely into an upscale, village feel. Go for Hazelnut (alone worth the trip) and stay for some of the spots around it.